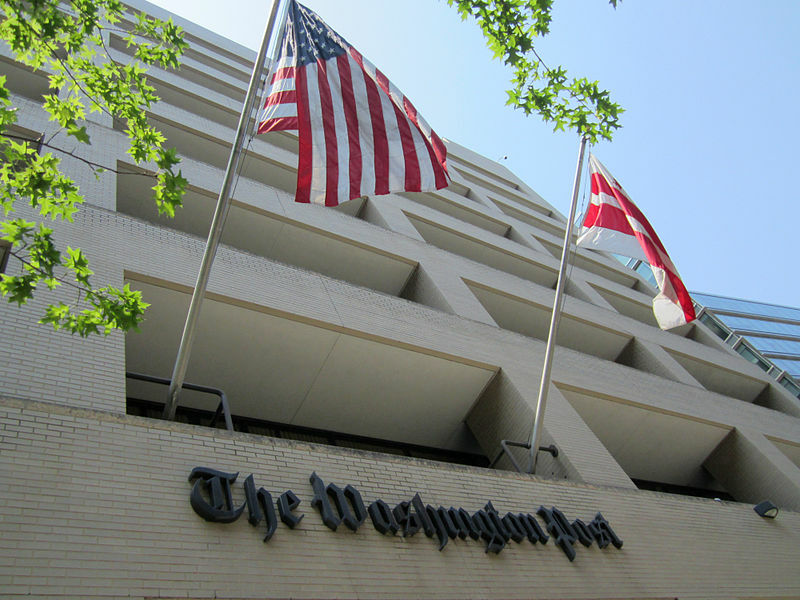 Could the Washington Post’s Watergate reporting of 40 years ago become a factor in designating the newspaper’s headquarters a local historic landmark? If so, such a result would represent a serious misreading of history. The Washington Business Journal reported yesterday that the D.C. Preservation League plans to consider whether the Post headquarters building, built in 1950, merits landmark status. The Post last week said it may put the building up for sale, citing economic and operational reasons. Hardly. Unless, that is, you embrace the heroic-journalist myth of Watergate, which has it that Woodward and Bernstein’s dogged reporting exposed the crimes that forced Nixon’s resignation in 1974. But not even principals at the Post have claimed that the newspaper’s Watergate reporting “led to” or otherwise brought about Nixon’s resignation. As Woodward once told the PBS “Frontline” program, “the mythologizing of our role in Watergate has gone to the point of absurdity, where journalists write … that I, single-handedly, brought down Richard Nixon. Totally absurd. While it has become the dominant popular narrative of Watergate, the heroic-journalist meme has obscured the role of forces far more consequential than the Post in uncovering America’s gravest political scandal. Those forces, as I discuss in my media-mythbusting book, Getting It Wrong, included special federal prosecutors, federal judges, panels of both houses of Congress, the Supreme Court, as well as the Justice Department and the FBI. “Even then,” I write in Getting It Wrong, “Nixon likely would have served out his term if not for the audiotape recordings he secretly made of most conversations in the Oval Office of the White House. “Only when compelled by the Supreme Court did Nixon surrender those recordings, which captured him plotting the cover-up” of the signal crime of Watergate — the burglary in June 1972 at headquarters of the Democratic National Committee. The existence of the White House tapes, by the way, was not uncovered by Woodward and Bernstein. That disclosure came in July 1973, at hearings of a Senate select committee on Watergate. The DCist blog had a bit of fun with the Business Journal report about prospective landmark status for the Post’s headquarters. The Post and the New York Times were enjoined by the Nixon administration in 1971 from publishing excerpts of the Pentagon Papers — an injunction the Supreme Court invalidated in a 6-3 decision. Janet Cooke was the Post reporter whose front-page story about an 8-year-old, third-generation heroin addict won a Pulitzer Prize in 1981. The newspaper surrendered the Pulitzer following disclosures that Cooke made up the story. Inspirations to journalists: Woodward, Bernstein — and Gaga?